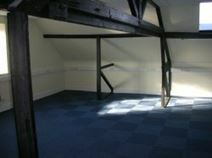 Office accommodation in a stunning period building with many original features. Located in Bicester, with easy access to the M1 and M40, and Oxford, Milton Keynes and central London all close by. Bicester town city, only a short walk away, offers a wide range of local amenities. The centre is based just outside of Aylesbury town centre on the Brunel Park industrial estate. Tenants will benefit from a simple 12 month rate which is inclusive of business rates service charges and parking. The centre also boasts a range of amenities, including 24-hour access, a seven-day manned reception area, shared kitchen facilities and a great location. 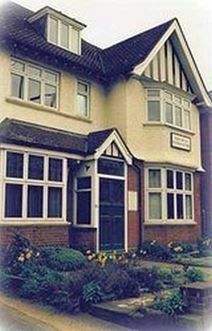 The centre is just a five minute walk from Aylesbury town centre. Stylish, affordable office spaces within walking distance of Aylesbury town centre. Easily accessible by road, with ample parking available. Close proximity to both the M1 and M40, while Aylesbury town centre provides a full range of local amenities, including cafes, bars and restaurants. Low-cost fixed monthly packages are available, and the space offers all-inclusive pricing, so tenants can move in with peace of mind that there will be no unexpected costs each month. Recently refurbished to bring out plenty of character of the building, this fabulous workspace is available on a fully furnished basis. Located in the historic town centre of Aylesbury, just a five-minute walk from Aylesbury railway station which runs direct services into London Marylebone, the centre contains a range of individual, co-working, and specifically designed breakout spaces available to use. Fully serviced contemporary office accommodation close to Aylesbury town centre. Flexible and able to meet the requirements of any business, this centre offers complete secretarial and management support, air con, break out room, two meeting / conference rooms with state of the art technology, and complete on-site car parking. Aylesbury train station is only minutes’ away and provides swift, regular services to central London, while both the M1 and M40 are in close proximity. A recently refurbished period building provides bright, spacious office suites in Aylesbury. Local transport links are excellent, with a full range of nearby amenities. Flexible, short and long term leases are available.